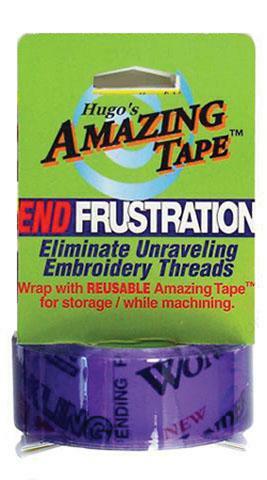 Notions > Amazing Tape 1" Clear Amazing Tape 1" Clear, 50 ft.
Amazing Tape 1" Clear Amazing Tape 1" Clear, 50 ft.
Theme: You will never use rubber bands, tape, or velcro again! Stretch it on, smooth it out, press firmly.,Bonds to itself--self-kling glueless, no messy adhesive residue. Great to wrap around spools of,thread and bundles of fabric. 1" width.